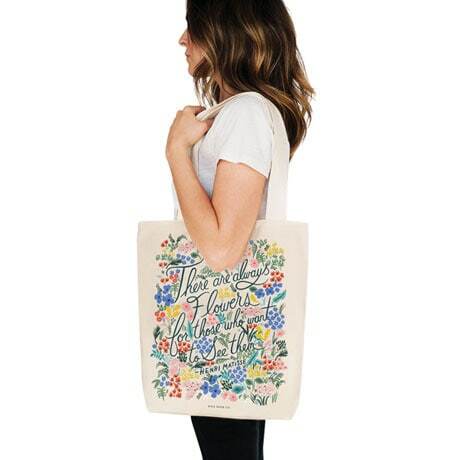 Springtime means warmer weather, which means more trips to the farmers market and the library—and you'll need a tote for that! 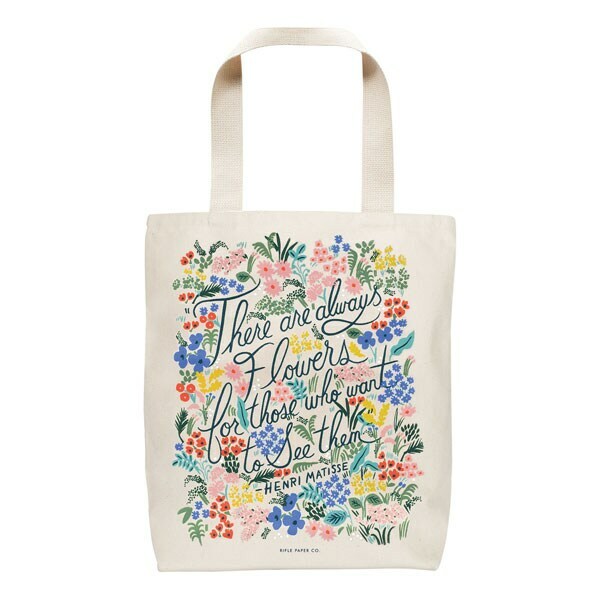 Our charming "There Are Always Flowers" Tote Bag features a bright floral illustration and an uplifting quote from artist Henri Matisse. With plenty of room (16½"x17"x6") for a stack of books and treats for an afternoon picnic in the park, this 100% natural cotton tote is just what you need to usher in the season. Machine washable.